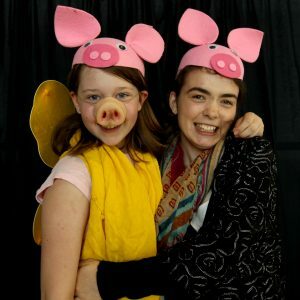 Ottawa School of Theatre’s mission is to offer excellence in theatre education and experience that is accessible to students of all ages, and to be a creative catalyst for self-confident performers and discerning and appreciative patrons of the arts in our school and the greater community. Our values serve as standards to guide choices and can be employed to resolve conflicts and make consistent decisions. We strive for excellence through continuous quality improvement in all our endeavours. We embrace diversity in all of its dimensions, realizing that mutual respect for individuality, ideas and opinions are vital for both personal and organizational success. We value intellectual vitality that is characterized by creativity, knowledge, curiosity, aesthetics, critical thinking, wisdom and a sense of humour. We value a safe, welcoming environment where individuals can take risks and make mistakes yet realize their full potential, where there are supportive and collegial relationships, where leadership is provided by trustworthy students and adults, and where teamwork is inherent. We value kindness, compassion and generosity in all our actions in order to minimize harm done to others. We value truth and strive to ensure that all interactions are founded on open, honest and transparent communication in order to sustain a community of trust. We understand and base all actions on core ethical values and will not compromise these values for the sake of convenience. We value the importance of confidentiality and will work diligently to protect this. We will avoid conflict of interest but if necessary will address it appropriately. We value fact-based, impartial and reflective decision-making through collegial deliberation. We are committed to visionary growth and innovation in order to ensure the long-term financial viability of our organization.